Sunset Marine Labs - Live Jellyfish & Aquariums - Your premiere source for jellyfish, food, and aquariums! Sunset Marine Labs: Your premiere source for live jellyfish, food, and aquariums. Pet jellyfish for sale. THE FIRST COMMERCIAL JELLYFISH HUSBANDRY LAB IN THE WORLD. Sunset Marine Labs, LLC was founded in 1996 in an effort to bring jellyfish to the commercial marine ornamental fish market. 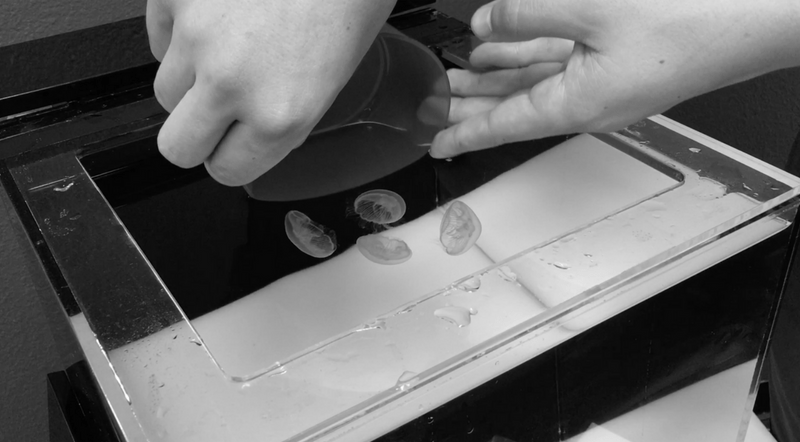 Since its conception, Sunset Marine Labs has been dedicated to breeding healthy moon jellyfish, designing custom and standard jellyfish tanks and life support systems, as well as, producing nutritious jellyfish food. Product R&D in the way of jellyfish tank design, nutritional food sources, maintenance procedures, and husbandry techniques for jellyfish has kept us busy the past 23+ years. Welcome to the world of jellyfish keeping! Learn more about our core focuses below. We are here to help you keep your jellyfish happy and healthy. We love jellyfish! We are a USDA-registered Aquaculture Facility. Check us out on Instagram! Follow us at @sunsetmarinelabs!